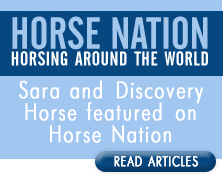 In 2017 Discovery Horse was introduced to Natural Lifemanship. Today we require that all of our staff become certified through Natural Lifemanhip . . .whether they work with horses or not. The principals of Natural Lifemanship are life changing and can be applied within any modality of practice. But wait . . . this isn’t just for professionals. It is for all relationships. Parents, spouses, co-workers. . . .. This year we are hosting 4 trainings on our farm. We hope you will consider joining us. All of our animal partners are familiar with these principals and are eager to support your learning. Natural Lifemanship is offering discounts. $100 for the Fundamentals trainings and $200 discount for Intensive training and Spiritual Connection. To receive your discount you must enter a discount code at registration.